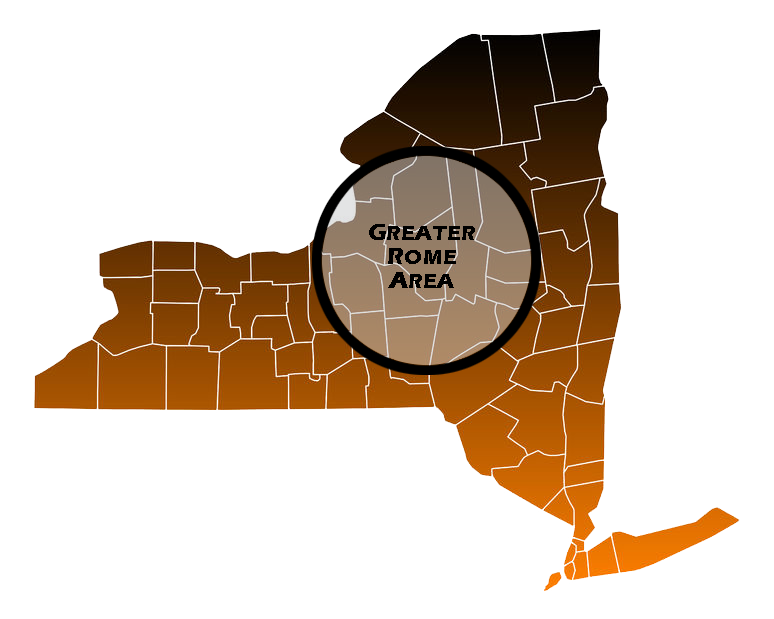 Rome is a city in upstate New York of around 34,000 people, located in Oneida County. Historically, it was a location of great importance to the famous Native American tribe known as the Iroquois. Rome was also the site of some famous innovations in the industrial sector, including the first cheese factory in the United States back in 1851 and Revere Copper Products, Inc. - one of the oldest manufacturing companies in the country. Rome was also the spot of the Woodstock music festival revival in 1999. Rome is a major transportation hub, with many state highways converging in Rome, including Route 26, Route 46, Route 49 and Route 69. Route 49 also runs into Interstate 90, I-790, NY 5, NY 8 and NY 12. If you're not in your car, you can take advantage of Rome's Amtrak Station or the bus service provided by CENTRO, the Central New York Region Transportation Authority. If you're traveling by car, make sure your Rome auto insurance is active and fully covers you in the event of an automobile incident. You can get started by contacting us today for a competitive rate on Rome car insurance that meets your needs. For entertainment around Rome, people often flock to the John F. Kennedy Civic Center, which features winter sports like figure skating and ice hockey. You'll also find an assortment of theaters, bars and parks to enjoy depending upon your personal recreation preferences. If your idea of outdoor recreation extends to recreational vehicles, be sure to contact Capital Gate Insurance Group for Rome RV insurance as well as for information on Rome boat insurance, motorcycle insurance, snowmobile or ATV insurance. You may choose to live in Rome for its history, proximity to the city of Utica or its easy transportation access to areas throughout New York and beyond. If you do decide to live in Rome, you will have to decide whether you want to buy a home in Rome or rent. Both have their advantages and disadvantages, but in both cases it's important that you protect yourself with sufficient Rome home insurance. Capital Gate Insurance Group has relationships with 25 different insurance companies to find you a great deal on Rome homeowners insurance or Rome renters' insurance. Once you've settled on a policy, we can also help you find the right Rome life insurance policy for your family. The Rome economy is ripe for growth now that the city has moved away from its industrial and defense roots. Virtually any business has the opportunity to be successful in Rome with the right approach. That approach will start with a great idea and continue with a Rome commercial insurance policy that can protect you as your business grows. You don't want your commercial dream to end before it begins. For a free Rome commercial insurance quote, contact Capital Gate Insurance Group today.